News The Rose Theatre and Creighton University explore history, anti-Semitism, and the refugee experience. The Rose Theatre and Creighton University explore history, anti-Semitism, and the refugee experience. The Theatre Arts Guild’s Access and Inclusion Committee would like to highlight the work of two upcoming productions in our community. Both explore how the lives of children were shaped by hatred, bigotry, and violence as they sought safe passage to a better life. 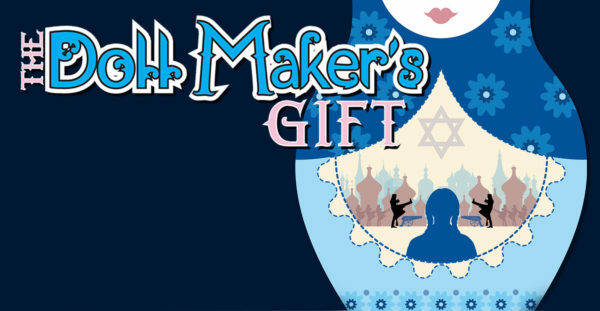 The Rose’s upcoming production of The Doll Maker’s Gift takes us to Russian 1900’s where we meet a girl named Nora. Nora is an imaginative little girl whose Russian Jewish community faces the Pogroms of the 1900s, a time of ethnic cleansing of Jews in Russia. After their cousins’ village is attacked, Nora’s family is forced to flee to America. They discover at the last moment that they don’t have enough funds to pay for everyone’s passage. Young Nora will have to stay behind, with the threat of attacks ever increasing. She is left with a family friend, a kind doll maker who offers to care for her until they can earn enough money to pay for her journey to America. Nora and the devoted doll maker show that all obstacles can be overcome with the help of good friends and community. Featuring beautiful original music and an essential story drawn right from history, The Dollmaker’s Gift is an uplifting exploration of what makes humanity great. Creighton University is producing Kindertransport a play by Diane Samuels, which examines the life, during World War II and afterwards, of a displaced Jewish child. In November 1938, the British government introduced a program called the Kindertransport (children’s transport), which gave Jewish children—and only children—safe passage to the United Kingdom from Nazi Germany. Spared the horrors of the death camps, the Jewish “Kinder” were uprooted, separated from their parents and immersed in a different culture, where they faced a mixture of kindness, indifference, occasional exploitation, and the selflessness. Both productions are partnering with area organizations to offer the community and audience more information and a time to reflect on these stories. We hope you will be able to join us for these upcoming conversations. Performance Dates: February 13 – 16 at 7:30 p.m. and February 17 at 2:00 p.m.
TAG Night Out: Wednesday, February 13 at 7:30 p.m.
TAG Night Out: Friday, March 1 at 7:00 p.m.